Fundacja Pamięć, Która Trwa - Osowa – June 25, 2015. Osowa – June 25, 2015. 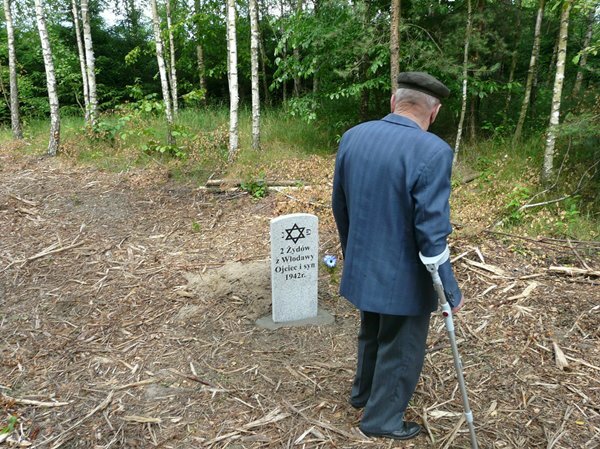 Along with an eyewitness and the land owner, we marked a grave of two Jews, father and son, killed by the German soldiers in 1942. 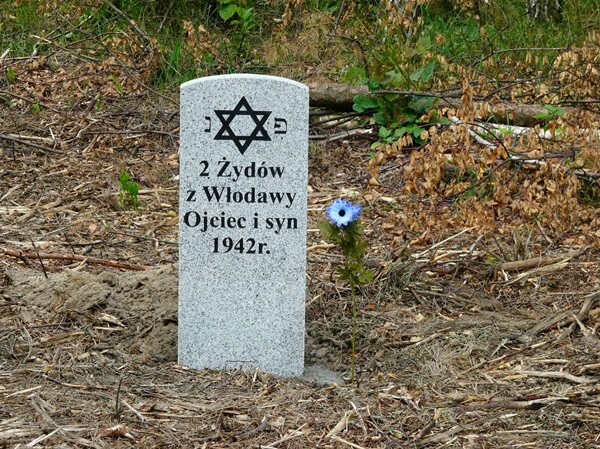 The victims came from Włodawa. While staying in Osowa, they were captured by a German commander of a labor camp in Luta, who was passing by with his security guards, and later executed. The commander ordered to bury the Jews at the execution spot. An 86-year-old witness to the events, after the grave had been commemorated, said: This memorial plaque will be testifying to what humans are like and why the two men were buried here. I used to know them in person, the son was just a little older than me. They were killed only because they were Jews.